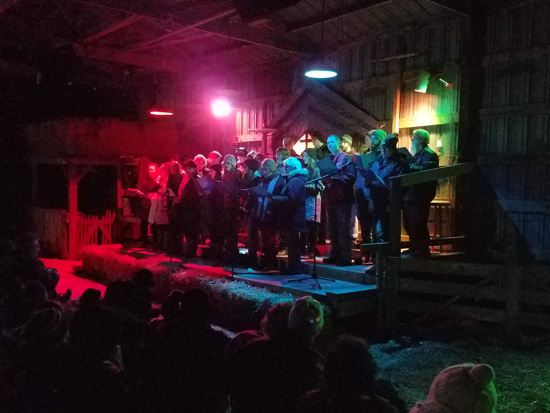 The local tradition of the OakVue Farm Live Nativity continued Friday evening. 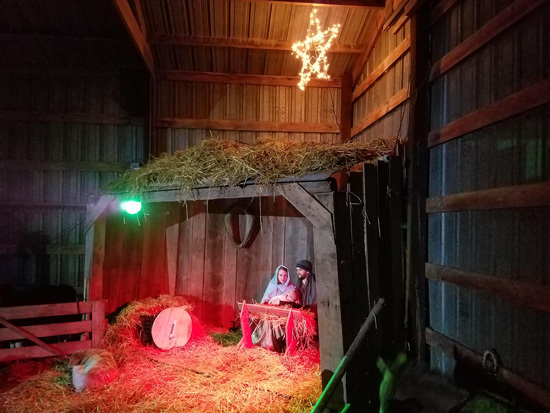 At this event, the story of the birth of Jesus Christ is acted out in a barn in Bristol, as it has been for over 20 years. 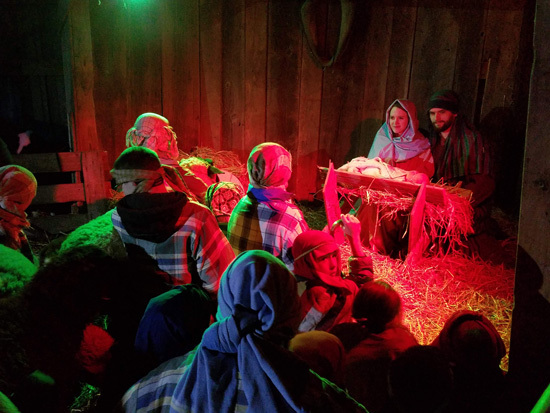 The presentations include people acting out the part of the people involved in the Christmas story. Live animals are also used. The Gillmore family has been coordinating the event for two decades and Ed Gillmore says people from all over now help out as well. A choir of local church members sings and there are refreshments served afterwards. There will be two more presentations Saturday, Dec. 8 at 3:30 and 6:30 p.m. A diaper and wipe drive for a Kenosha family with a premature baby is also being held. OakVue Farm is located at 14700 104th Street in Bristol. Posted in: Bristol, church news.